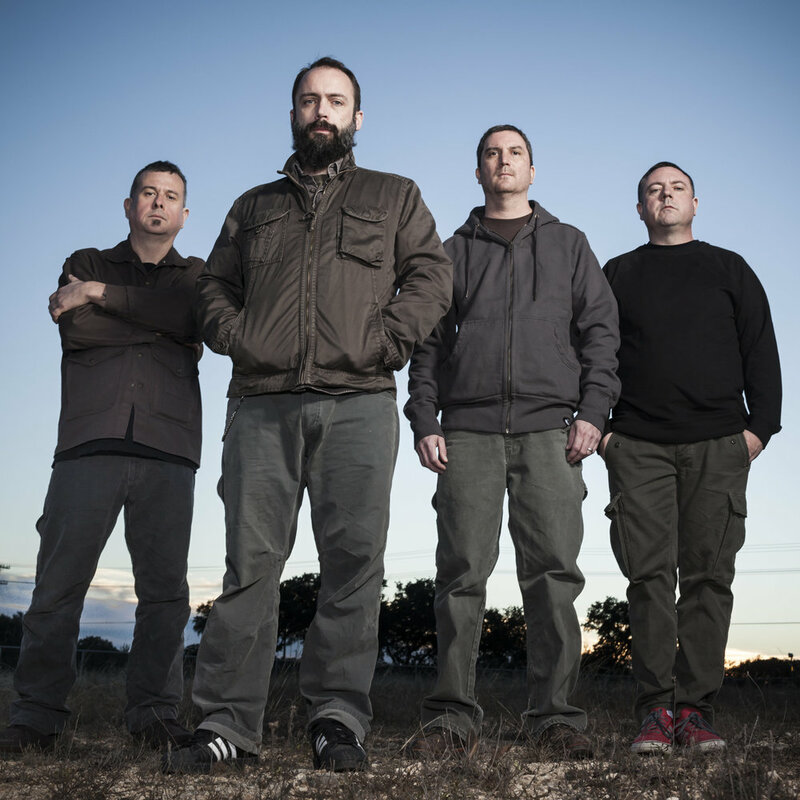 Clutch bassist Dan Maines is a seasoned interviewee. This becomes clear 30 seconds into our phone call (which is so crackly at times, I’m convinced he’s driving straight into the mouth of hell), as he answers my first question before I can even ask it: what city are they in today? I am not. But that’s because I don’t travel nearly as much as Maines. In the 24 years since releasing their first EP, 1991’s “Pitchfork,” Clutch have continued to refine their bluesy, funky, hard rock sound and build a reputation as an incendiary live band. 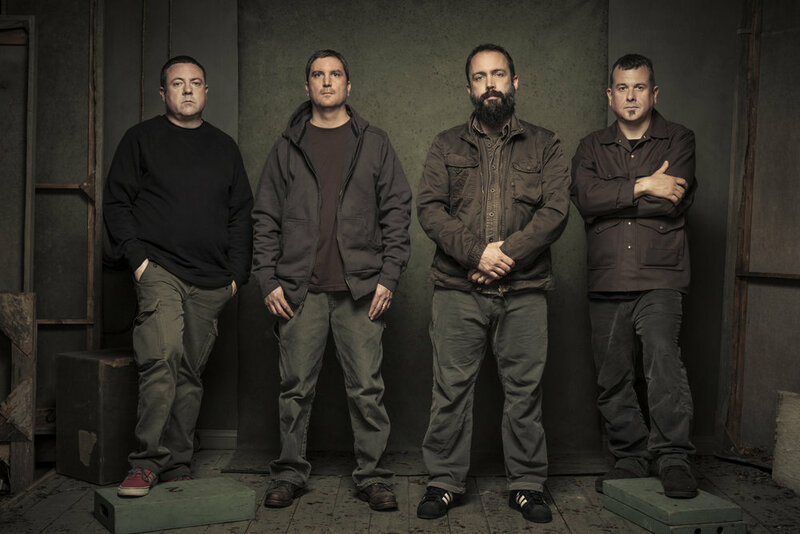 In an era that would rather catapult no-name hopefuls into superstardom off the virality of one outrageous music video — or Vine — Clutch have developed their fan base the old-fashioned way: play in every city, in every state, at every opportunity. In spite of this hectic road dogging, Maines was able to spare 40 minutes to catch me up about the band’s new tour, new album and continued success in a constantly changing musical landscape. ORANGE: Are you guys bringing any special production on the road with you? Maines: Just the four of us. We don’t really get heavy into a lot of production onstage. We just focus on our set list. This tour is pretty much the first tour of the beginning of our “Psychic Warfare” album cycle, and we’ve been pretty ambitious as far as playing the new songs live. The album’s only been out a little over a week now, and we have been playing at least seven of the new tracks in each of our sets. Last night and the night before that, we played all 11 tracks off the album in our set. It’s been a lot of fun. O: With as many albums as you guys have put out, it’s gotta be tough to pick and choose what songs to play every night. And on top of that, you want to make it heavy on the new album, so that cuts into a big chunk of your set. M: Absolutely. And that’s something we have focused on as much as we can. We’re trying to play as much of a variety as we can…It gets really stale, quickly, we’ve found, when we lock ourselves into the same set over and over every night. Before long, you’re not even really paying attention to what’s going on. That’s when you’re not really getting a genuine performance, and it shows, I think. So we try to vary it up. O: It’s kind of refreshing to hear someone acknowledge that, because I think so many bands that have been around as long as you guys would have no trouble just going through the motions. M: It depends on the band. If you’re working with a lot of production — lights, and things need to be choreographed and whatnot — then playing the same set is almost a requirement. We’ve just found for ourselves, personally, that it’s much more exciting for us to switch it up as much as we can. It keeps us on our toes, it gets us thinking about the music. O: It seems with these last two albums, you guys have burst even more into the public eye. Have you noticed that yourself? Do you think there’s a reason for that in particular? O: When I listen to “Psychic Warfare” in comparison to “Earth Rocker,” it sounds like the sequencing of the album at the beginning is similar, but on the second half, things take a different turn. Was that a deliberate decision when you were recording this album? M: The only thing that was really deliberate from the get-go was trying to write songs that we felt were different than what we did on “Earth Rocker.” I think “Earth Rocker” had a very focused, hard rock sound to it, and when we started writing for “Psychic Warfare,” we wanted to have a little more of the funk side of things represented. At the same time, the songwriting process happened almost immediately after “Earth Rocker,” so there are definitely some similarities to the songs. Also, the fact that we used the same producer [Machine] kind of lent itself to there being some similarities between the two records. There’s a handful of songs off “Psychic Warfare” that aren’t necessarily new territory for Clutch, but I think are definitely representative of our sound that you just didn’t get on “Earth Rocker.” And then you get a song like “Our Lady of Electric Light,” which is pretty much unlike anything we’ve done before. It’s gonna have its similarities, but we did make a conscious effort to try to bring in a little bit more of that looser, live feel to it, and a little more of the funk. O: You’ve put out your last three albums on your own label, Weathermaker. What are the pros and cons of being able to put them out on your own label? How is it different than having to deal with a big-budget major label? M: I think in this day and age, the concept of a big-budget major label is few and far between. You just don’t have the same opportunities as a band to access that type of unlimited resource. Major labels just aren’t really interested, for the most part, in hard rock music nowadays. We have been through every scenario possible as far as labels go. We did the major label. We did the independent labels. We did no label. It basically came to the point where we were so disillusioned by the prospect of dealing with a label, we just decided to take the plunge and start our own. And it was definitely rough going in the beginning. We made a lot of mistakes, and I think the pros and the cons were kind of the same. It’s all on your shoulders. The mistakes that you make, those are dollars that come out of your pocket. That’s your time that was wasted and not somebody else’s. There’s nobody else accountable but you… It’s a lot of extra work all around, but we feel like it’s work that’s paying off. It definitely is motivating us each day to dig a little bit deeper, and I think that the success that came so far with “Psychic Warfare” is very validating for Weathermaker. O: There are a lot of younger up-and-coming bands that would probably pursue the same route as you but lack the resources. What would you suggest to bands that are really trying to get off the ground? M: I would just talk about our own experience, and what I feel is the only tried-and-true approach: touring, and getting on the road and playing shows, and just consistently trying to stay on the road as much as possible. There’s really no set process. There’s writing good music, being able to play that music live and doing that as often as you can. There are definitely a lot of tools that are available for bands… Back in the day, if you would make a demo, you would record yourself with a four-track, and that’s what you would pass around. Nowadays, you can pretty much make a studio quality recording in your basement. And I don’t know if that’s a good thing or a bad thing. But I think this idea of self-promotion is more important now than ever. You’re not gonna get a lot of support otherwise. I think the labels are still out there — it’s just different labels. The money obviously is not the same, but it doesn’t cost as much nowadays to promote a band like it did 15 years ago. But, I just tell people, get on the road and try to play as many shows as you can. Nothing’s gonna promote your band more than a good live show. O: Do you think that’s the key to your band’s longevity? M: Absolutely. And it’s what we love doing the most. Recording things is something that we really kind of do as an excuse to go on the road and play more shows. It’s definitely what’s kept this band alive as long as it has.